Every year there are an increasing number of DUI offenses involving drugs. The drugs in question include not only illegal street drugs such as heroin, cocaine or MDMA but also certain prescription medications that have an intoxicating effect. This includes opiate painkillers such as Vicodin and OxyContin and anti-anxiety medications such as Xanax and Valium. This also includes prescription sleep aids such as Ambien, Lunesta, Sonata and Rozerem. As more and more people receive prescriptions for these drugs, there has been a steep increase in the number of DUI cases involving sleep medications. Many people are surprised to learn that they can be charged with a DUI offense when taking a prescription that was lawfully prescribed to them. However, California law criminalizes the act of driving while under the influence of alcohol or drugs regardless of whether the substance was lawfully prescribed or not. Sleep medications such as Ambien are potent sedatives that affect a person’s ability to stay conscious, concentrate and perform physical functions such as driving. As a result these medications have been included in the list of substances that can lead to DUI charges. Prescription sleep aids are intended to be taken by those who can dedicate at least eight hours to sleeping. In many cases, a person may take a prescription sleep aid late at night and as a result are still under the influence of the drug when driving to work the next morning. In other cases, a person may take his or her medication before driving home at the end of the night so that it will fully kick in by the time he or she arrives home. In both of these scenarios, the driver could potentially be charged with driving under the influence of drugs in violation of California Vehicle Code Section 23152(e) VC. Other people may mix prescription sleep drugs with alcohol and then drive home. These drivers can be charged with driving under the combined influence of drugs and alcohol pursuant to California Vehicle Code Section 23152(f) VC. One noteworthy side effect that has been experienced by some people taking sleep medications is the tendency to engage in everyday activities while still asleep, such as sleepwalking or even cooking and eating full meals. In some cases, people taking prescription sleep medications have engaged in “sleep driving,” which is incredibly dangerous to both the driver and the general public. Because the crime of DUI requires a voluntary act in order for a driver to be criminally liable, someone who is “sleep driving” may be able to argue that his or her conduct was completely involuntary if charged with DUI. 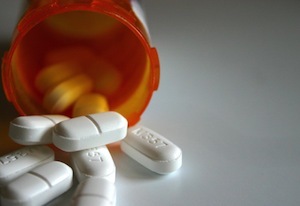 This potential defense may not apply to a defendant who was not taking his or her prescription as instructed, such as taking too much of the medication or mixing it with alcohol or other drugs. For someone who is charged with driving under the influence of a sleep medication, it may be necessary to obtain a blood split order and have the blood sample retested by an independent laboratory. It may also be helpful to have a qualified DUI expert witness prepare a report or testify about whether or not the amount of medication found in the driver’s blood would have had an intoxicating effect. If you have been arrested for a DUI offense involving a prescription sleep medication, it is critical that you speak with a Los Angeles DUI Lawyer right away. Attorney Michael Kraut is a former Deputy District Attorney with over 14 years of prosecutorial experience who understands how to effectively defend those who have been charged with DUI offenses involving sleep aids. For more information about Los Angeles DUI and sleep medications, and to schedule your free consultation, contact Michael Kraut at the Kraut Law Group located at 6255 Sunset Boulevard, Suite 1480, Los Angeles, CA 90028. Mr. Kraut can be reached 24/7 at 888-334-6344 or 323-464-6453.